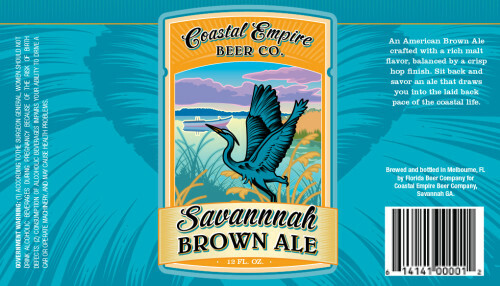 A new craft brewery (Coastal Empire Beer Company) trying to break into the seemingly saturated craft beer market approached us with an exciting challenge. A start-from-scratch branding project about beer. They had us at beer. They understood the need to come out of the gates looking like a real contender, but weren’t sure how to do that while keeping what they called a “low-country vibe”. The client had definite ideas about the icons they wanted included in their logo and packaging. Chief of which was a blue heron. So we dove deep into image research, looking for ways we could distill the bird’s likeness into a recognizable mark. 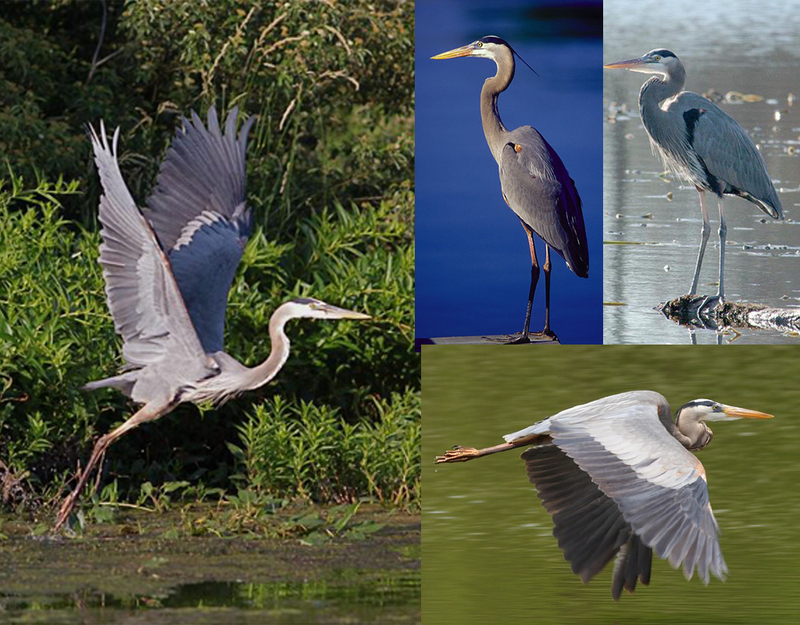 We collected a lot of reference photos of Blue Herons. Incorporating the client’s input, we settled on depicting the heron in a flying pose, so we began fleshing out the illustration style. We thought the wood cut look would be the most appropriate given the Old-World style they were going for. With the bird on its way to being finalized, the next aspect would be the final mark, including type treatment. To keep with the low country vibe, we thought that a shield or ribbon shape would be useful. So we played around with some ideas until we settled on a few options that we presented to the client. We always throw a bunch of ideas on the proverbial wall at this stage. 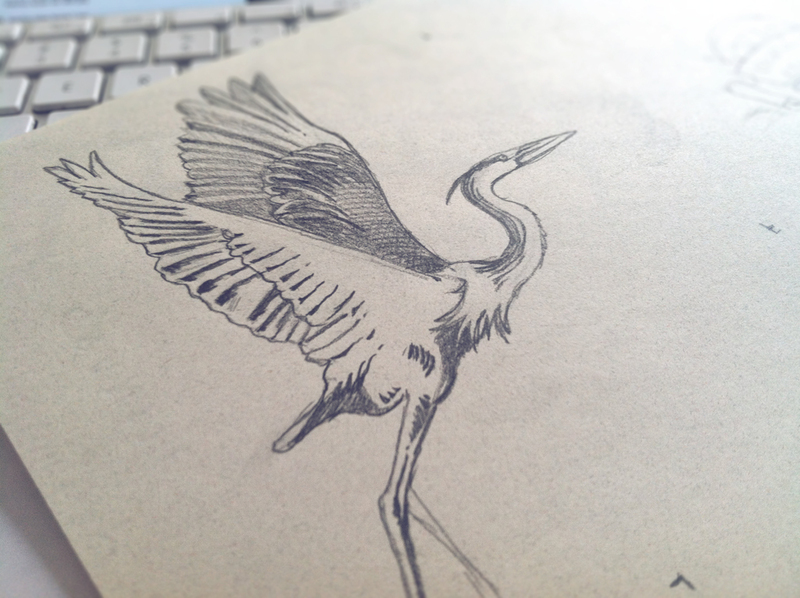 With the heron illustration settled on, we then moved to incorporating it into a logo mark. Narrowing down the options was tough, but we eventually landed on a simpler shield shape hoping to use the ribbon and other more vintage elements in the packaging design. 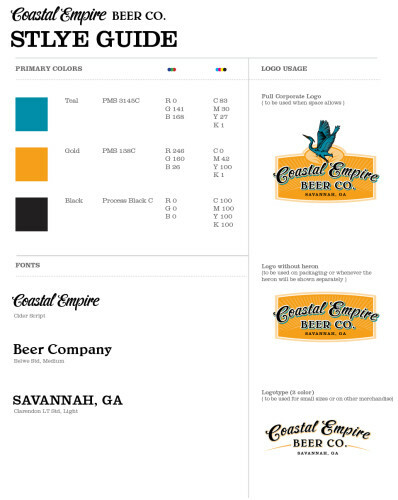 We delivered a really simple style guide to get them started with other marketing collateral they needed created while we were working on the beer labels. The debut flavor on tap, which would serve as their flagship product, was the Brown Ale so we tackled that one first. 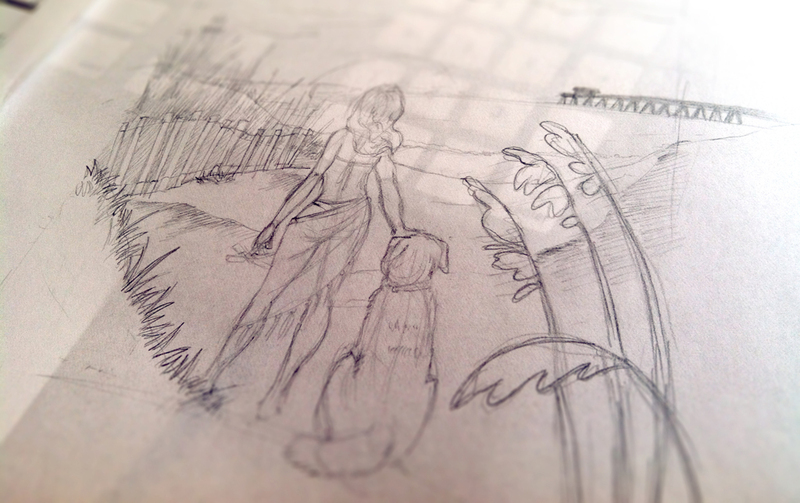 Again, the client had really clear ideas as to what they wanted depicted: a serene marsh landscape with the heron chilling in the foreground. 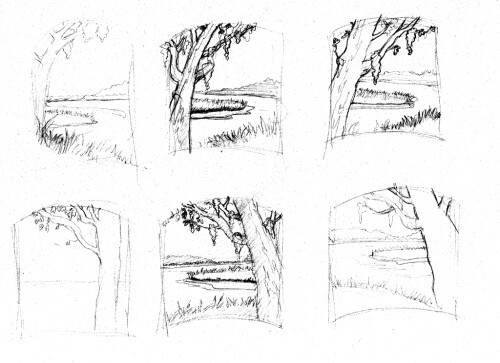 The sketches helped us nail down what components helped make up this marsh scene, but we felt like the heron from the logo didn’t fit with the stillness of the scene. 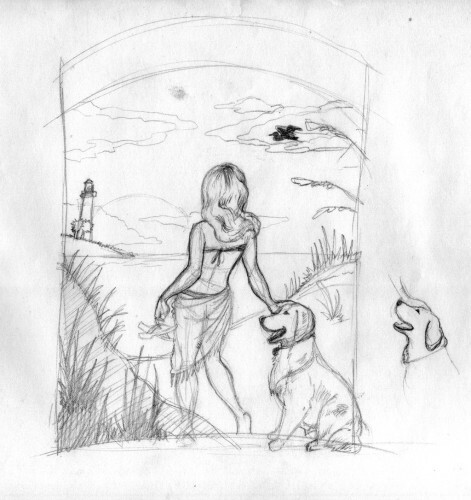 So we decided to create a separate illustration more in line with its environment. 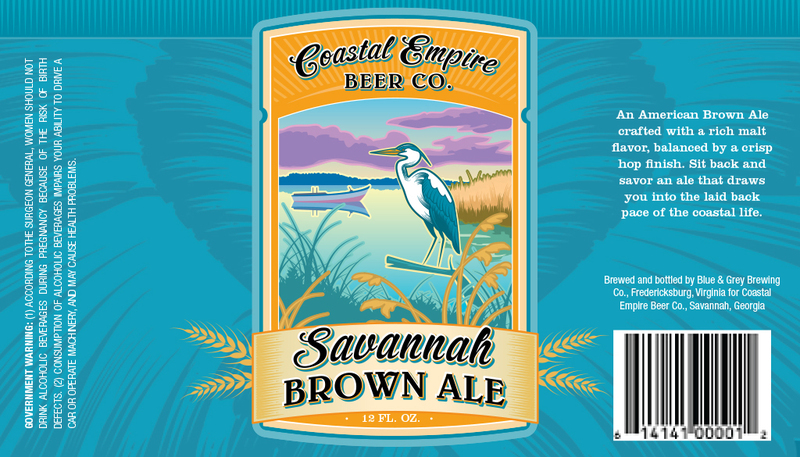 The 1st round used the logo’s Heron illustration, but we felt it didn’t fit in with the rest of the label. With the Brown Ale label done, we had our template set. This consisted of an ornate frame to encase the illustration and a duotoned background, the color of which we planned on changing for each new flavor. 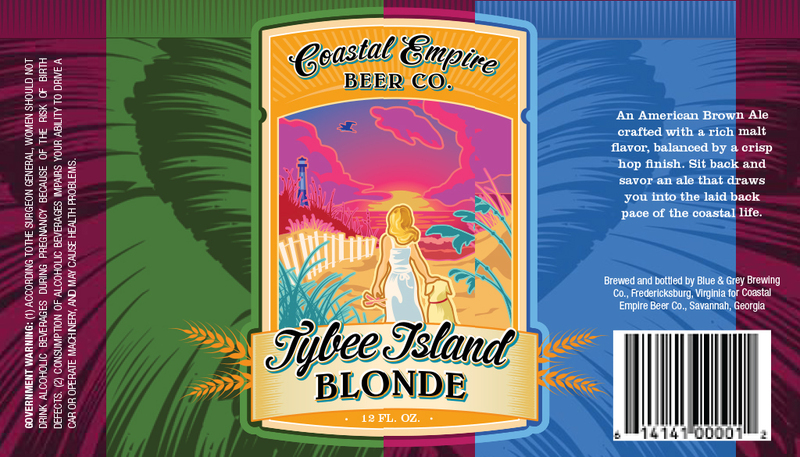 Next up was the Tybee Blonde packaging which involved depicting a woman and her dog strolling along the beach at Tybee Island. We even tried out a few hairstyles before settling on the one we felt fit the setting the best. Choosing the background color was a tough call since the scene illustration itself was so vibrant. We needed a color that didn’t clash with the frame or illustration but still had a personality of its own. 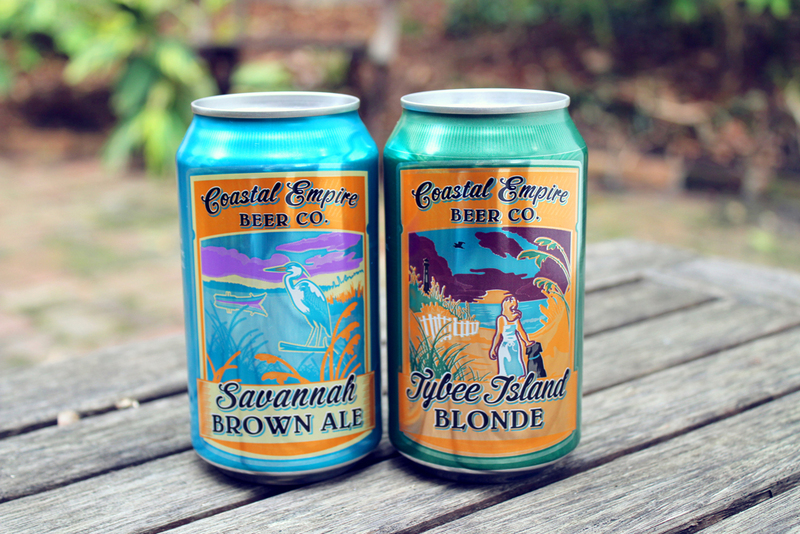 In the end, we converted the label artwork to be used on beer cans which can be seen on shelves throughout Savannah and beyond.